For example, when we read a book we do so linearly, from one sentence to another, but when using multimedia devices, we scan for keywords and grab small bits of relevant information. The internet has influenced people’s cognition in a way which they will now typically forego complex analytic thinking to get information quickly and easily. In other words, people allow the internet or even their smartphones think for them. For these reasons, pictures that are presented with technology are assuming more power in the learning process, especially with the millennial generation. The dominance of visual media in everything from Instagram to online news articles has given words less status. Consultant Marc Prensky, who invented the term “digital native,” argues that in previous generations, graphics were illustrations, accompanying the text and providing elucidation. For today’s generation, the relationship is almost entirely reversed: the role of text is to elucidate something that was first experienced as an image. A paper by Jaihyun Park and Neal Feigenson is one of several that supports Prensky’s assertion. The article discusses two studies explored the effects of lawyers’ use of PowerPoint on liability judgments in a case involving statistical evidence. The PowerPoints included the displays of graphs and charts to explain the statistical evidence and modest animations to enhance visual contrasts. The studies compared opening arguments delivered with and without simple PowerPoint visuals. 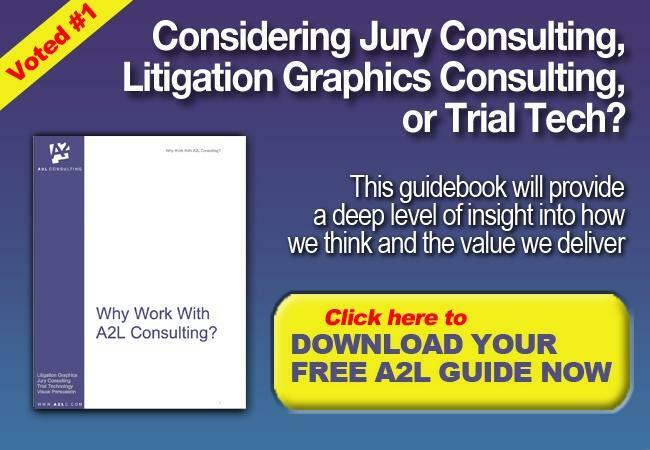 The findings from the 2006 study showed that the percentage of participants who rendered a verdict for the plaintiff in a vehicular accident case was signiﬁcantly greater when the plaintiff’s lawyer used an animation and the defendant’s lawyer used only a still diagram.